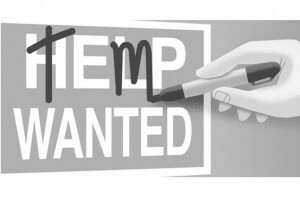 Welcome to our Top 5 Temp Jobs Blog Series! Research has shown that since the economic crisis in 2009, temporary jobs were the first jobs to see a resurgence. This is not surprising. Since the start of the crisis, employers have been more hesitant to offer candidates permanent jobs. Job seekers who struggled to find a job during the crisis, on the other hand, had no other choice then to accept temporary jobs for the time being. Even though the UK has come out of the crisis (more or less…), temp jobs are still very common, but have become less of a necessary evil (finances permitting!). On the contrary, some people have come to see the benefits of temping, and for the right person, temp jobs could be a ‘permanent’ form of employment, or part of a life-style, so to speak. We shouldn’t forget that the job market and the economy are evolving constantly and that there are not many people who work for the same employer for a lifetime anymore. Whether you can afford to do temp work very much depends on your financial situation. If you got bills to pay, ad-hoc temp jobs will probably not give you much peace of mind. Temping is more suitable for young people still living with their parents, students and people who do not earn the main household income. Perhaps it’s no coincidence that the number of temp jobs is rising while there is a record number of young people still living with their parents at the moment! So what are common temp jobs? In this series we will explore 5 very different temporary jobs, ranging from warehouse worker to interim manager. We’ll announce our #5 tomorrow! Bert Colijn, ‘The New World of Work: Recovery Driven By Rise in Temp Jobs’, Financial Times, www.ft.com, 4 August 2015.